During my tenure as a CTO for the pharmaceutical company, I had to deal with both small and large datasets for biostatistics. The gold standard for data analysis in pharmaceutical is SAS since FDA reviewers use it. 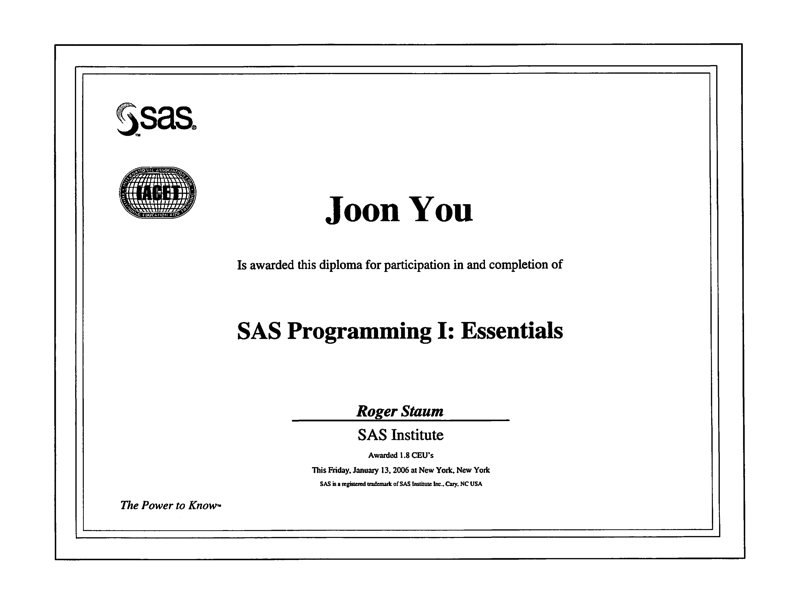 Although SAS is great and I got the basic training as seen below, the cost is rather higher than I liked. When I heard about R project through a colleague back in 2003 or 2004, I had to jump on it and find out. After evaluating what it is and where it’s headed, I instantly loved it. It was very early in development, but I knew that this would be awesome. In fact, I love it so much that I became a supporting member (see below). 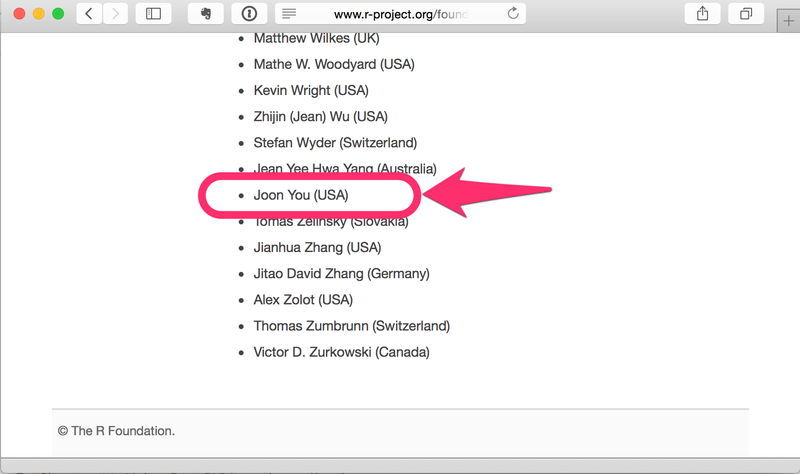 This entry was posted in Life on March 23, 2015 by Joon.